The world’s first ULED TV Hisense 65H10B. 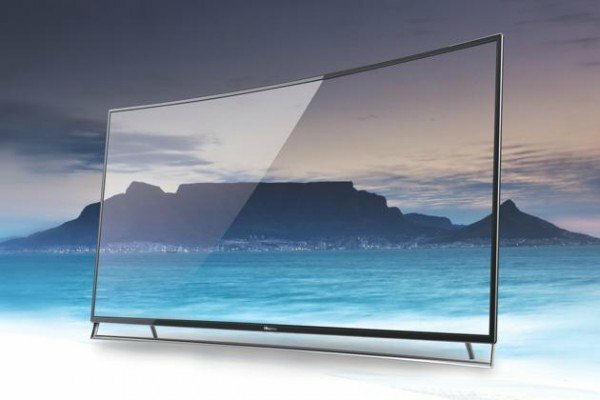 According to Hisense, its proprietorship ULED or Ultra LED technology uses 3M’s latest Quantum Dot sweetening Film technology to boost color response a high brightness panel home grown Smart Peaking technology, to push more power to bright parts of the picture without compromising dark parts a native 4K UHD res. Hisense’s ULED screen also suffered less with motion blur than the OLED screen, while those punchy colors mentioned earlier were presented with strikingly more definition and gradation finesse than rival display could manage. The brightness of the panel proved very effective at helping the TV inject more verve into vivid color tones than the OLED (organic light emitting diode) technology. Additionally, there seemed to be a wider tonal range at the upper end of the Ultra LED color spectrum. The Hisense TV also looked substantially brighter than the OLED screen. This is thanks to its high-brightness panel design, which makes it well suited to deliver HDR content note that the content we viewed was not presented in HDR, nevertheless. Particularly eye catching was just how much sharper and more detailed the Hisense TV looked with the native 4K demo footage so much so that it left the 4K OLED screen looking quite soft by comparison. It is compatible with the new high dynamic range (HDR) content starting to make waves in the AV world. Ultra LED sounds quite similar to Samsung’s SUHD technology. It’s become very clear having spent time checking out the 65H10B at this year’s IFA show, is that Hisense clearly has the potential to win where many makers have failed in trying to secure a significant foothold in the UK market. Nonetheless, so do the OLED and Samsung SUHD TVs Hisense is targeting with its ULED technology. The 65H10B’s screen seemed relatively good at soaking up the sort of ambient light reflections that can cause deformation across curved screens.